Vatican City is the smallest country in the world, encircled by a 2-mile border with Italy, Vatican City is an independent city-state that covers just over 100 acres, making it one-eighth the size of New York’s Central Park. 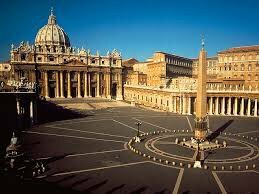 Vatican City is governed as an absolute monarchy with the pope at its head. The Vatican mints its own euros, prints its own stamps, issues passports and license plates, operates media outlets and has its own flag and anthem. One government function it lacks: taxation. Museum admission fees, stamp and souvenir sales, and contributions generate the Vatican’s revenue. For nearly 60 years in the 1800s and 1900s, popes refused to leave the Vatican, popes ruled over a collection of sovereign Papal States throughout central Italy until the country was unified in 1870. Benito Mussolini signed Vatican City into existence, the dispute between the Italian government and the Catholic Church ended in 1929 with the signing of the Lateran Pacts, which allowed the Vatican to exist as its own sovereign state and compensated the church $92 million (more than $1 billion in today’s money) for the Papal States. At several times during the Vatican’s history, popes escaped through a secret passageway, in 1277, a half-mile-long elevated covered passageway, the Passetto di Borgo, was constructed to link the Vatican with the fortified Castel Sant’Angelo on the banks of the Tiber River.